It is a village located in the southwest of Toyama Prefecture, and is registered in the World Cultural Heritage Sites as the village where the Japanese architecture style “Gassho-style” is still in existence. Surrounded by mountains, even now, it is a village where traditional scenery is evident. The Shirakawa-go is the name of the Shogawa basin in Gifu Prefecture (Hida no Kuni), and is a popular sightseeing spot visited by 1.4 million people a year. 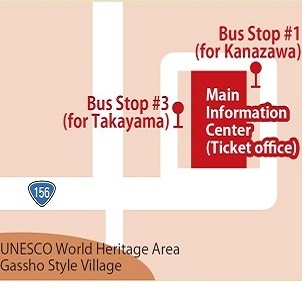 Together with Gokayama, it has been registered with the UNESCO World Cultural Heritage Sites as the “Historic Villages of Shirakawa-go and Gokayama”. 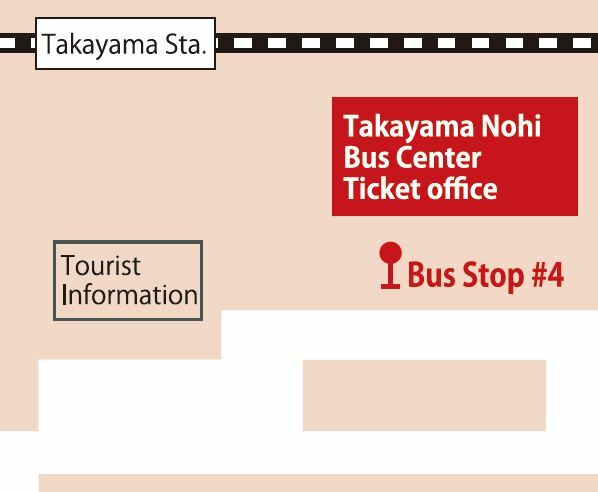 Takayama referred to Takayama City which located in the northern Gifu Prefecture, is also known as Hida Takayama. The figures of the Joka-machi and Shoka-machi since the Edo era are conservation sites, and there are many national designated cultural assets and long-established shops. In addition, it is famous for its hot springs and handicrafts. ★=The bus will stop from April to November. ●Hokuriku Railroad is covered by voluntary insurance of bodily injury compensation unlimitedness. 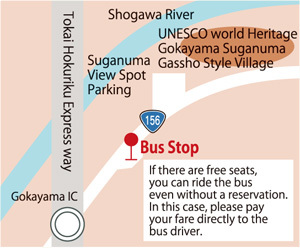 ●Our highway buses all require seat reservations. Please make your reservation in advance. 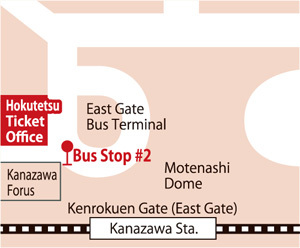 ●Reservations can be made over the Internet (24 hours) or by phone (9:00-18:00). Ticket office Come to the Hokuriku Railroad Reservation Center shown above.